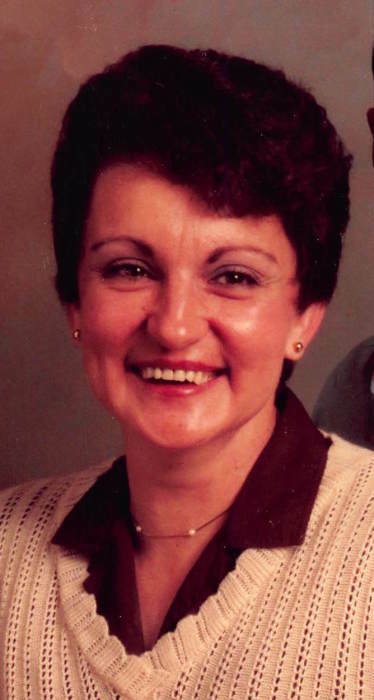 Janet Kay (Parrish) Winters, age 76, of Terre Haute, passed away peacefully at 6:30 pm on Wednesday, March 20, 2019, at I U Health, Bloomington. She was born in Owen County on May 27, 1942, the daughter of Ray Clark Parrish & Cathryn Marie (Cradick) Parrish. Janet was a 1960 graduate of Gosport High School. She worked at Otis Elevator and then retired from Columbia House in Terre Haute. She loved to crochet and play cards. She is survived by her sister, Doris Dunigan of Spencer, nephews, Kenneth (Mindy) Parrish and Robert Parrish; nieces, Kim Crider-Lyttle and Sheri Crider-Salis; great-nephews, Nathan (Jasmine) Lewis, Stephen (Cody) Lewis, Tyler Parrish, Levi Parrish, Nicholas Salis, Joseph Salis, Andrew Salis, Michael Stogsdill and great-nieces, Cathryn Salis and Lindsey Stogsdill. She was preceded in death by her husband, Ronald Winters; parents; brother, Kenneth Ray Parrish, I and a niece, Jaclyn Renee Stogsdill. Graveside service will be held at Gosport Cemetery on Tuesday, March 26, 2019, at 2:00 pm with her uncle John Cradick officiating.